Tajik authorities have apparently blocked access to 200 sites. There are few relationships in Tajikistan more fickle than that of Tajik authorities and the Internet. In mid-2012, a “stray bullet” managed to sever telephone, mobile, and Internet lines to the Gorno-Badakhshan Autonomous Oblast during Dushanbe’s heavy-handed security operation. A few months later, authorities order Internet providers to block Facebook – with the country’s telecom head citing the site as a “hotbed of slander,” and demanding that founder Mark Zuckerberg explain Facebook’s proclivities in person. Dushanbe also cut access to YouTube in 2013, likely as blowback from a video showing a (seemingly) inebriated President Emomali Rakhmon twirling at his son’s wedding. This year, though, has seen a substantive acceleration of the authorities’ willingness to block Internet access – and to cut a far wider swath for the sites barred. The latest round of blockage came earlier this week, when Tajikistan cut access to Facebook once more. Interfax subsequently reported Dushanbe had likewise blocked access to the Russian social network VKontakte – the second such site blocked this year – as well as Wikipedia, Amazon, Russian news site Lenta, and, for the third time this year, YouTube. In total, Dushanbe barred citizens’ access to some 200 sites, with neither reason nor end-date announced. Interestingly, Tajikistan officials have denied that any such order was given, though an anonymous official from one Internet provider told Interfax that they “received an order from [Tajikistan’s] Communications Service” to enact the blockage. 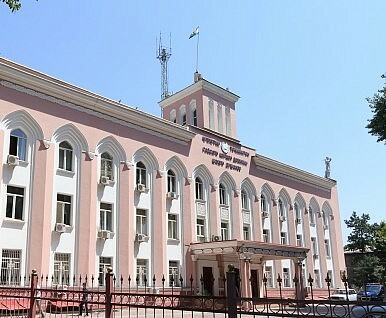 The reason for the newest spate of online censorship appears to stem from a proposed October 10 opposition meeting, “Tajikistan Demands Change.” The rally, planned to gather in Dushanbe, comes at the presumed behest of journalist Dodojon Atovulloev and opposition politician Umarali Kuvatov, both of whom reside abroad. As it is, Dushanbe continues to refer to Atovulloev and Kuvatov as “criminals” – and subsequently arrested a host of Kuvatov’s extended family members on Tuesday. How long the current round of obstruction stands remains a guess. And between the shrinking space for academic research and state-backed religious restrictions on criticizing Dushanbe, there seems little likelihood this will be the final blockage the country sees. Parliament endorsed amendments that would require cell operators to register all SIM cards sold.